Trouserheart is a small and entertaining mobile game that feels a lot like some of the dungeons in The Legend of Zelda or Diablo in a very abbreviated form. You play as a king who's pants are stolen by a goblin and set out on a quest to return said pantaloons with a lot of hacking and slashing. There are numerous levels to play each with a multitude of single screen stages and checkpoints that are all randomly generated for which ever difficulty level you choose- Casual, Harcore, or Permadeath mode. All three are entertaining and well tailored for whatever the player's preferred style might be. Upgrades are simple and easy through the use of in game collected coins (no IAPs) and health, weapon, armor, and gold amounts can be boosted. Obviously, going with the gold find upgrades right away makes the collection easier and upgrading go quite swiftly in preparation for later levels for the other 3 areas. 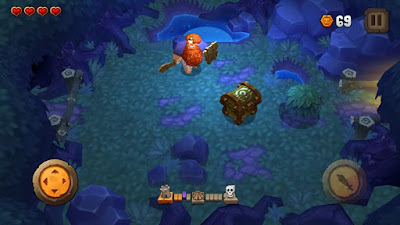 The game's visuals, music, and sound effects are all superb and are backed up by extremely responsive controls. 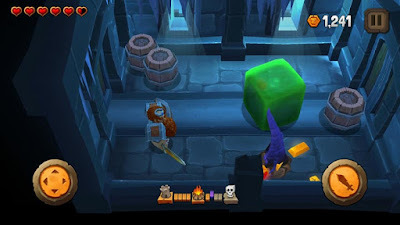 Developer 10tons Ltd. has pared down the controls to merely d-pad movement and attack. An admirable and Spartan decision that works quite well here. The art style and color palatte work wonderfully for this silly world. 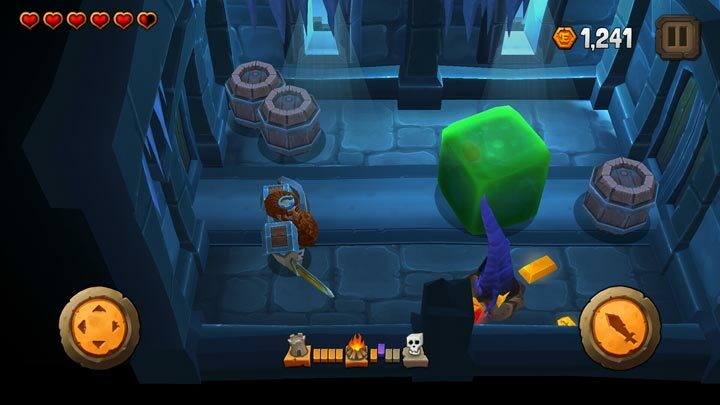 The designs are interesting takes on many fantasy staples and I especially enjoy the dungeon crawling gelatinous cube enemies- you can actually see the hearts and coins inside them as you whittle them down. 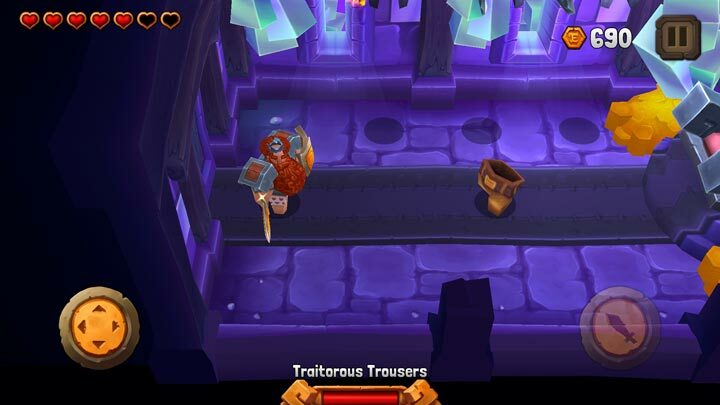 Trouserheart is an amusing romp through an entertaining land. It's simplicity belies the real depth of challenge in the higher difficulty modes, although it'll leave many players wanting much more in terms of overall content. There are only a handful of levels and the whole game's story can easily be completed in an hour when playing on casual difficulty, so it's just the right amount of game play for 5 to 10 minutes bursts. This is a definitely a charming adventure story to eat up an hour or two for those that want to give it a go. ENDING SPOILER PAST THE BREAK! IT WAS THE PANTS THE WHOLE TIME!! !